As a former Assistant Attorney General for the State of Maryland, Gary W. Desper is committed to helping people protect themselves, their families and their futures with Excellence, Integrity and Dedication. Maryland's Personal and Professional Legal Counsel. Our offices are located at 43 North Court Street, within walking distance of the courthouses and our old offices! I'm attorney Gary W. Desper. At my law office in Westminster, Carroll County, Maryland, I provide trusted counsel and representation for a wide range of legal matters to individuals and business clients in Carroll County, Frederick County, Howard County, Baltimore County and throughout Maryland. 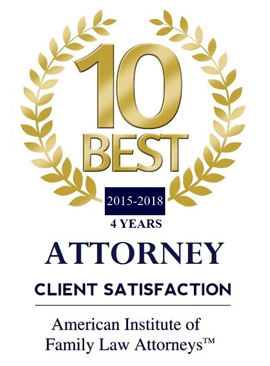 I represent clients with cases involving criminal defense, DUI lawyer / DWI defense attorney, drunk driving, traffic, assault charges, theft, drug charges, family law, estate planning and administration, wills and trusts, divorce, separation, child custody, domestic violence protective orders, business matters, personal injury, real estate law, mediation services, automobile accidents, speeding tickets, traffic attorney, MVA hearings traffic defense, legally changing your name, and more. My Westminster, MD law office is conveniently located next to the Carroll County courts, law enforcement, and local government offices with easy access to parking. I take a personal interest in each client. When you are dealing with a legal issue that affects you as an individual or business, you need an attorney who will take the time to listen to you and understand your unique situation. You deserve a lawyer who will treat you honestly and fairly, someone who will stand by your side and guide you through the legal process while working to protect your rights. When you walk through my door, you will speak directly with me. You will never have to wonder who is working on your matter or who you should contact with any questions. Using my experience, knowledge and skill, I will identify creative solutions that will allow you to move forward in life in the most positive manner possible. Mindful of the expense and time involved in litigation, I will explore all avenues of dispute resolution. However, if your case is best served by going to trial, I will be fully prepared to fight for your interests in the courtroom. If you are seeking the undivided attention of a dedicated lawyer in Carroll County, Maryland, who provides trusted counsel and representation at affordable rates, please call the Law Offices of Gary W. Desper to schedule a consultation (first 30 minutes free for new clients). As an experienced and skilled mediator, I can assist you in resolving your dispute through mediation. In mediation the parties control the process and outcome rather than having an impersonal judge set the terms for you. Baltimore County Attorney Serving: Catonsville (21228), Cockeysville (21030), Glyndon (21071), Granite (21163), Homeland (21212), Lutherville (21093), Milford Mill (21244), Monkton (21111), Mount Washington (21209), Owings Mills (21117), Parkton (21120), Phoenix (21131), Pikesville (21208), Randalstown (21133), Reisterstown (21136), Roland Park (21210), Ruxton (21204), Timonium (21093), Towson (21204, 21252, 21284, 21285, 21286), Upperco (21155), and Woodstock (21163). Read our Important Notice and Disclaimer and then check this box to indicate that you have read, understand, and accept the Important Notice and Disclaimer found before submitting any information to us. Law Offices of Gary W. Desper is based in Westminster, Maryland. 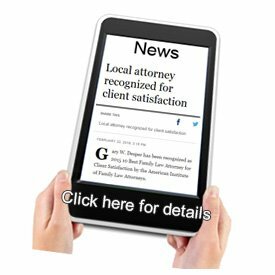 We serve the legal needs of residents and businesses throughout the Baltimore Metropolitan region and surrounding areas of Maryland, Westminster, Taylorsville, Manchester, Taneytown, Eldersburg, Finksburg, Frizzelburg, Gamber, Greenmount, Hampstead, Linwood, Marriottsville, Manchester, Middleburg, Mt. Airy, New Windsor, Sykesville, Taneytown, Union Bridge, Winfield, Woodbine, Woodsboro, Boring, Glyndon, Randallstown, Reisterstown, Owings Mills, Upperco, Baltimore, Baltimore City, Baltimore County, and all of Carroll County (21048, 21074, 21102, 21104, 21157, 21158, 21757, 21771, 21784, 21787, 21791, and 21797). See the Areas We Represent shown above for additional locations. Maryland's Personal and Professional Legal Counsel.